we are excited to introduce our newest headjoints from Korean headjoint maker Y.C. Song! 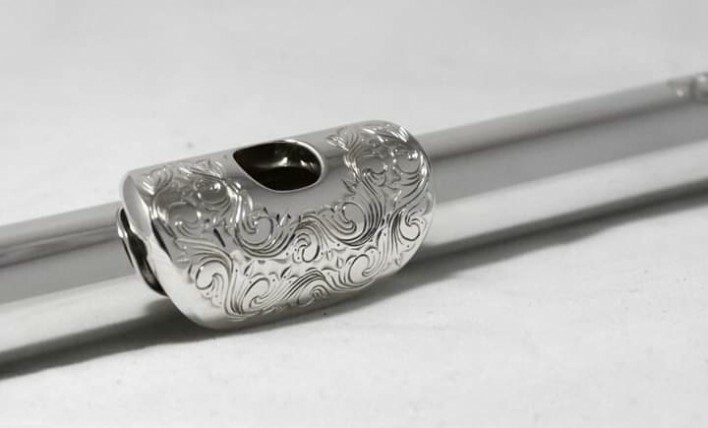 Song headjoints fuse traditional craftsmanship methods with innovative technology (Song's patented crowns) and a variety of luxury materials including precious metals, woods, and gemstones. 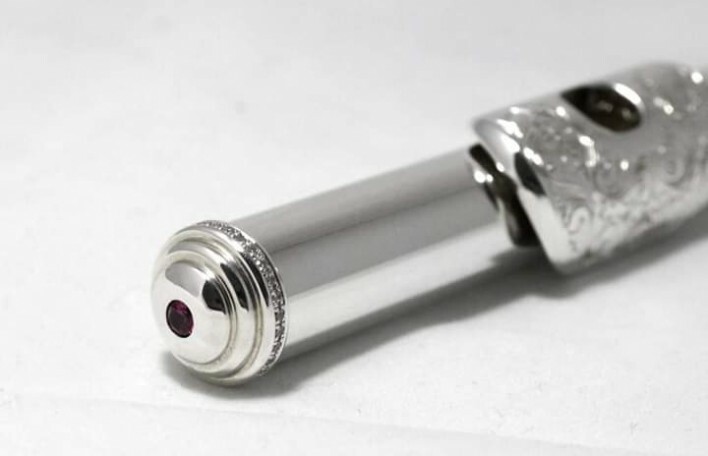 with a 95.0% silver engraved lip plate and a ruby inlay in the crown. 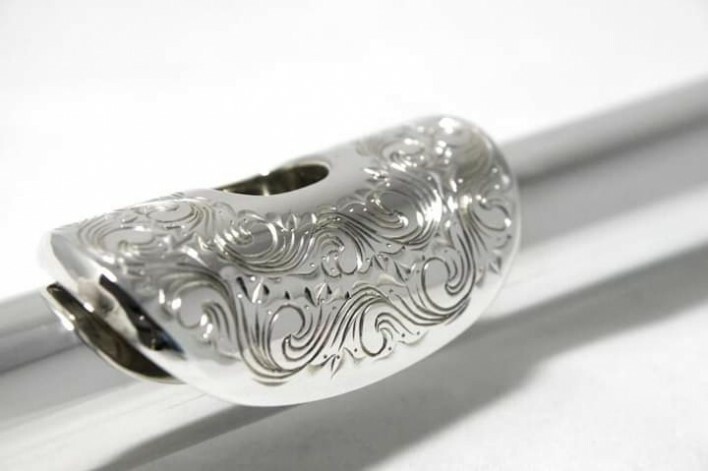 this headjoint is appealing to both the ears and eyes.